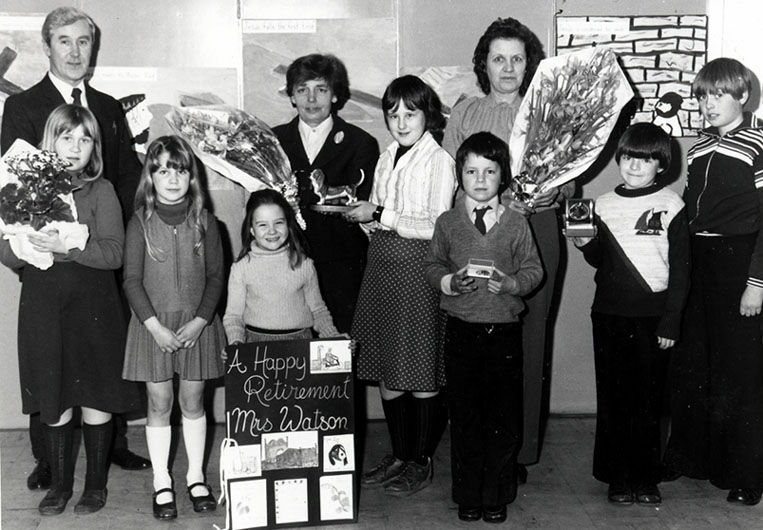 Mrs Joan Watson's retirement day at Eastrington school. This photo dates from the mid-1970s. Mrs Watson is standing fifth from the left in a black suit.